The release of iOS 9 offers much more than just new features for consumers and enterprise users. It further simplifies the complex challenges that IT organizations face when securely deploying iOS devices and apps across the enterprise. 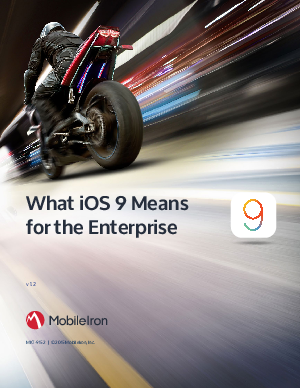 Combined with enterprise mobility management (EMM), iOS 9 provides an advanced set of tools to enable faster device configuration, easier app distribution, and more robust security for enterprise data. In just a few touches, IT admins can configure thousands of devices for employees, who are then ready to go as soon as they power on their new devices.